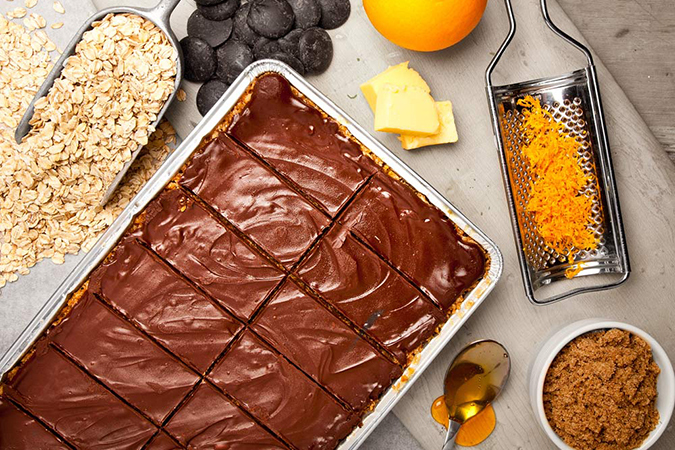 A classic combo of zesty orange and smooth dark chocolate brought together in this all butter flapjack. Oats, salted butter (milk), brown sugar, golden syrup, Belgian dark chocolate (min cocoa: 50.0%. 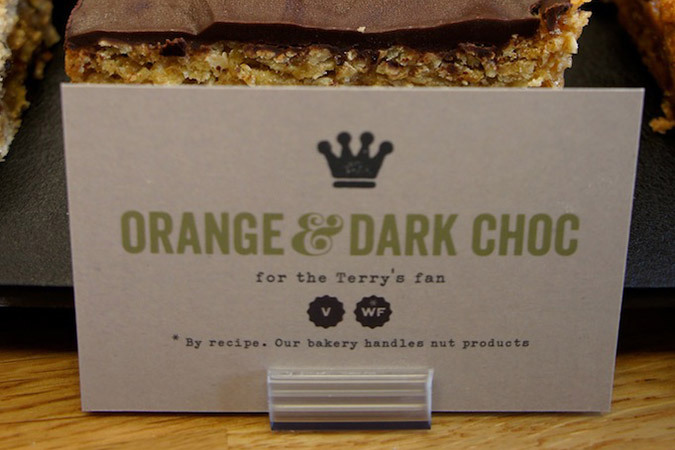 cocoa mass, sugar, soya lecithin, natural vanilla flavouring) (9%), orange zest (4%).